Another machine learning cheat sheet to help you choose your algorithm. 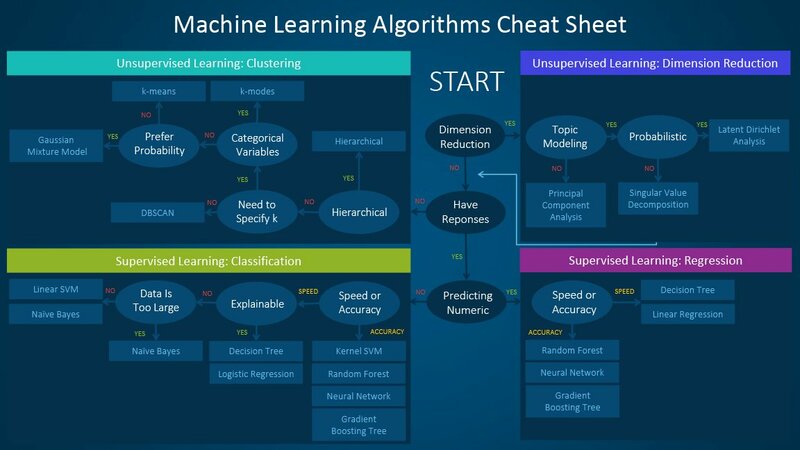 The cheat sheet is designed for beginner data scientists and analysts. The General Data Protection Regulation (GDPR) comes into effect on 25 May 2018, one month from now. The EU General Data Protection Regulation is the most important change in data privacy regulation in 20 years. GDPR, is fundamentally about protecting and enabling the privacy rights of the individual. A Guide to enhancing privacy and addressing GDPR requirements with the Microsoft SQL platform is an interesting read. The obligations related to controls and security around handling of personal data are some of the the concepts discussed in the the document. 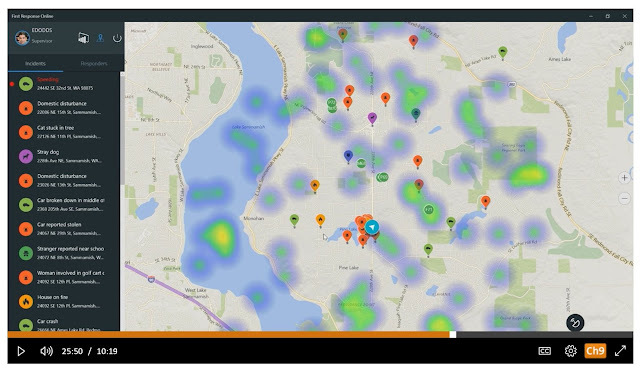 • Control accessibility—who is accessing data and how. processing, storage period, and accessibility. • Include safeguards for control management integrated into processing. GDPR Article 32—“Security of processing”: Security mechanisms to protect personal data. • Employ pseudonymization and encryption. 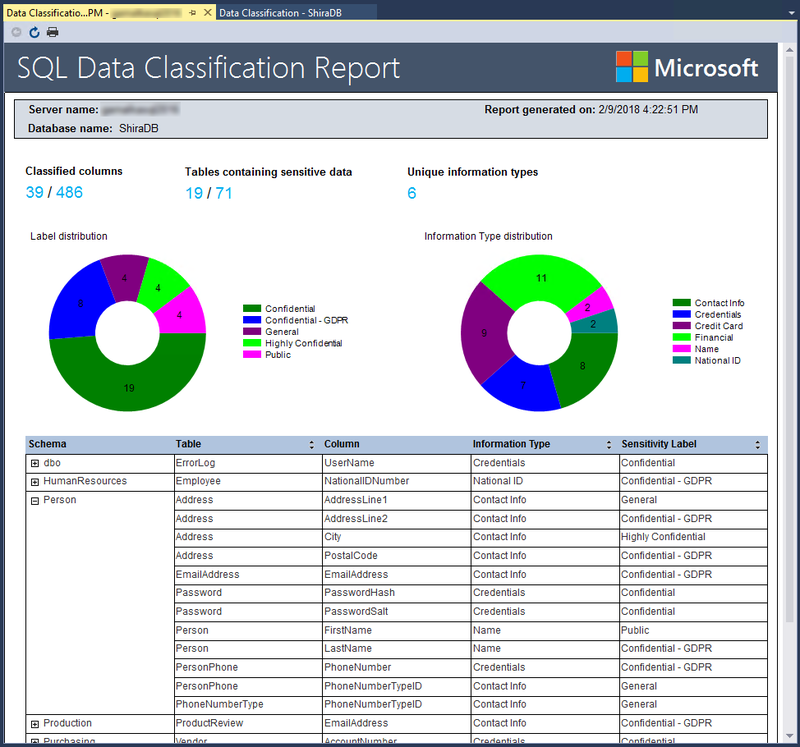 • Restore availability and access in the event of an incident. Detect and notify of breach in a timely manner (72 hours). • Assess impact on and identification of personal data records concerned. • Describe measures to address breach. GDPR Article 30—“Records of processing activities”: Log and monitor operations. • Maintain an audit record of processing activities on personal data. • Monitor access to processing systems. • Describe processing operations, including their necessity and proportionality. • Assess risks associated with processing. This was the first time I had attended the DataWorks summit: Ideas. Insights. Innovation. 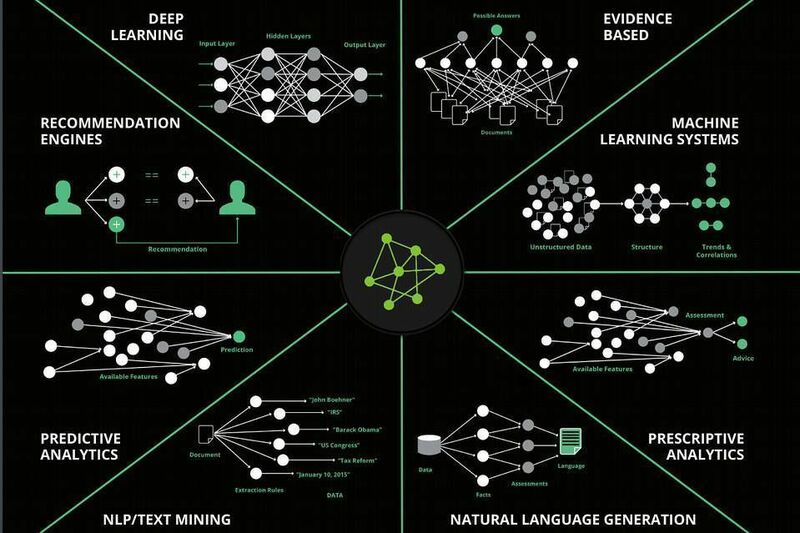 for big data. I had the privilege to attend the Luminaries dinner on arrival at the conference. The dinner was held for the European data heroes award. 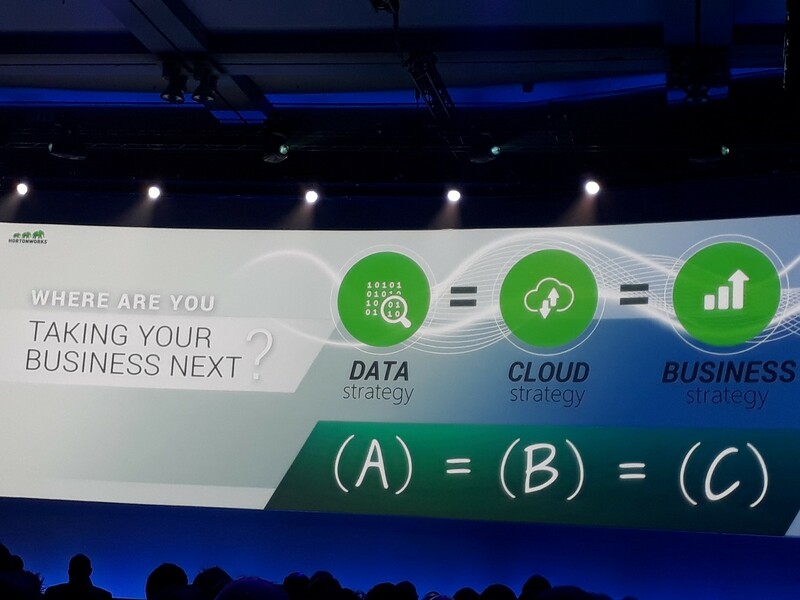 The Hortonworks data heroes initiative recognizes the data visionaries, data scientists, and data architects transforming their businesses and organizations through Big Data. Each day started with a set of keynotes. Big Data Success In Practice: The Biggest Mistakes To Avoid Across The Top 5 Business Use Cases Bernard Marr - Bernard Marr & Co.
Scott Gnau opened his talk with an hypothesis “Data is your cloud is your business” Connecting disparate data to provide for real time information enables us to innovated fast. A data strategy is imperative, it needs to include governance, security and adopt rapid change. Data drives our lives everyday from smart edge devices to all businesses. 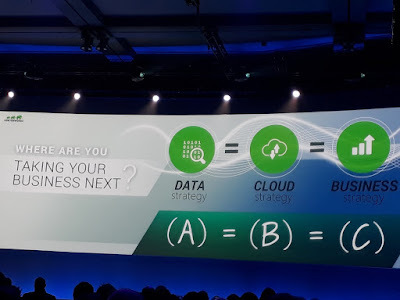 He concluded with your data strategy is your cloud strategy is your business strategy if (A) =(B) and (B) = (C) then (A) =(C). A couple of interesting points raised were about specialist data hunting units to find new data sources and automation requirements to improve operations. 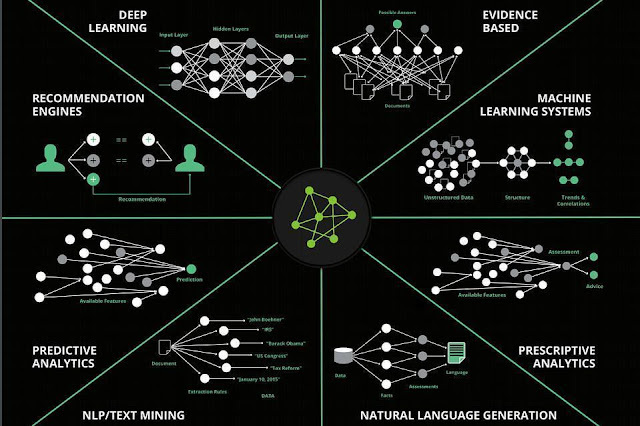 Data diversity is key to improve analytics along with data governance. Data Steward Studio (DSS) was launched at the conference. 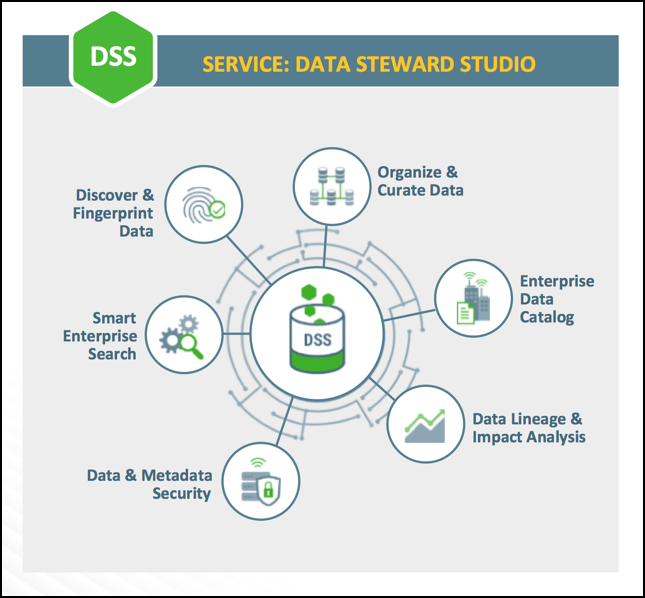 It is one of several services available for Hortonworks DataPlane Service; it provides a suite of capabilities that allows users to understand and govern data across enterprise data lakes. The public preview of SQL Information Protection brings advanced capabilities built into Azure SQL Database for discovering, classifying, labeling, and protecting the sensitive data in your databases. SQL Data Discovery and Classification are also added to SQL Server Management Studio. 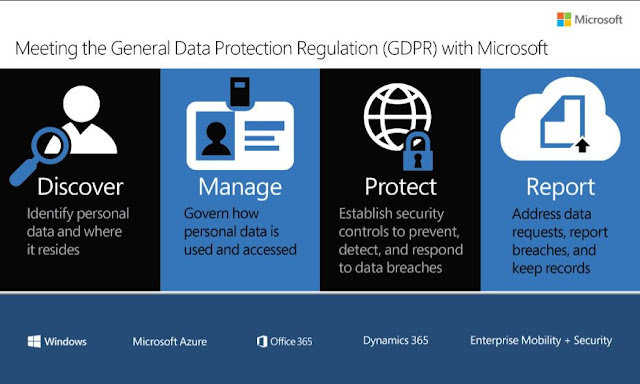 This tools will help meet data privacy standards and regulatory compliance requirements, such as GDPR. It will enable data-centric security scenarios, such as monitoring (auditing) and alerting on anomalous access to sensitive data to be viewed in dashboards. It will help with controlling access to and hardening the security of databases containing highly sensitive data. After 7 years of hard work, bringing industry and research together, I was excited to attend my Ph.D graduation. What an awesome and humbling day. Words can't express how it felt as a Ph.D graduate, with a Doctor of Philosophy, to sit on the stage along side the university academic staff. It is something I will never forget. Now it is time to utilize my research skills gained throughout the Ph.D and begin something new. My aspirations in the academic field, are to write many papers, share my research findings and to become a research fellow. I watched this great session giving 'advice and guidance on becoming a speaker or volunteer' from SQLBits this year. I felt humbled when I listened to the SQLBits session recording as I am named as an absolute legend for attending all 16 SQLBits and helping for over 8 years. I had never spoken, never presented or been involved in the public facing side of the conference. It is such a great feeling helping the conference be successful, helping others enjoy what working with data brings and being a part of the sqlfamily. Thanks to SQLBits for enabling me to be a part of such an amazing event for all of these years. Following on from the creation of a literature map for my PhD, I started to formulate a plan of literature to read. These are some of the books on my bookshelf. I also read many academic papers, stored in seven box files and in Mendeley. Mendeley is a free reference manager. It enables you to manage your research, showcase your work, connect and collaborate with over six million researchers worldwide. I found the Communications of the ACM journal and SIGMOD, the ACM Special Interest Group on Management of Data journal great reads. 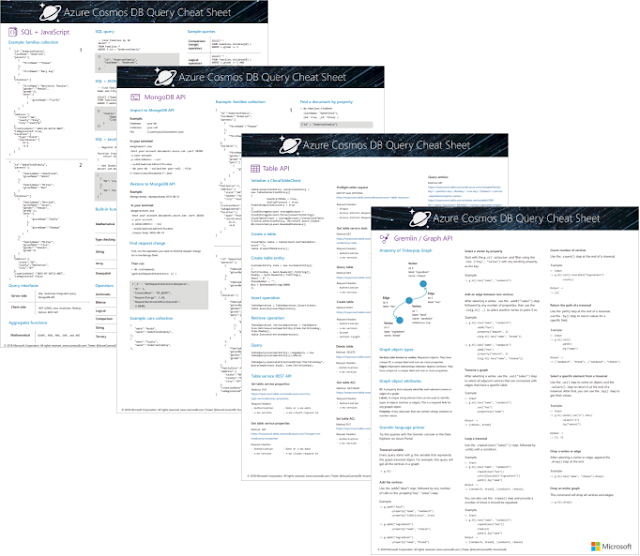 The new Azure Cosmos DB: SQL Query Cheat Sheet helps you write queries for SQL API data by displaying common database queries, keywords, built-in functions, and operators in an easy to print PDF reference sheet. Reference information for the MongoDB API, Table API, and Gremlin/Graph API are also included.